Take your tradition pin stripe and jazz it up to get this stunning striped design. 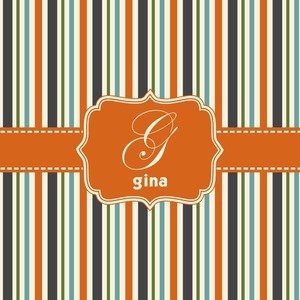 These are my favorite stripes and the color combination for this design was inspired by the leafy swirls design. This striped design is simply stunning on it's own and since it is a perfect color match to the leafy swirl design and the two together also making a stunning design, to create our orange and blue swirls & stripes collection.